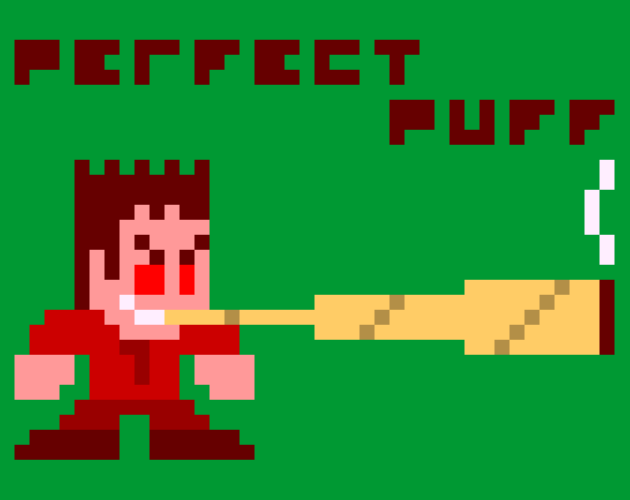 Created within a few days (make that a few hours) for The Pixel Weekend Jam #1. The theme was stone so I made a game about getting stoned, OH WOW ORIGINAL!! Trust me, nobody even gets fatalitied in it so it's a departure for me. Click the screen when the bar reaches the white section to smoke your spliff and get another. Don't click too early, or let it fill up completely, or you'll choke. Screencap your high scores, and send them to @53xy83457, if you'd like a bit of friendly competition. Also, fun fact: The project width is 420 pixels (I swear I didn't plan that).